Jamaica's Shelly-Ann Fraser-Pryce narrowly held off Dafne Schippers of the Netherlands to retain her 100m World Championships title. Fraser-Pryce, 28, started strongly but was almost caught by Schippers on the line as she crossed in 10.76 seconds. 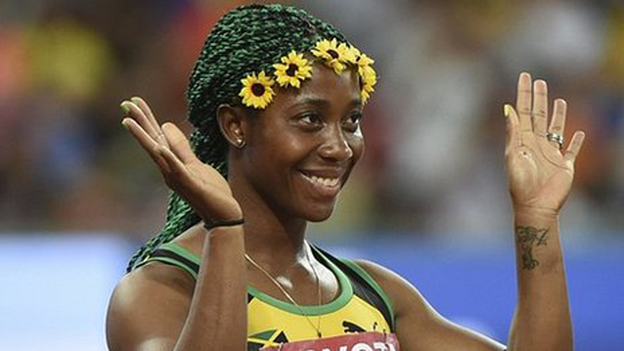 It was a sixth career gold at the world championships for Fraser-Pryce, who won the 100m and 200m double in 2013. Schippers, a heptathlete bronze medallist two years ago, finished ahead of American Tori Bowie in third.